This course will teach you how to create authentic dialogue within well-crafted, individualized characters. Karl Iglesias will showcase over 50 individual dialogue techniques alongside insightful examples and customized feedback on your writing. Get ready to say goodbye to bland, on-the-nose dialogue. 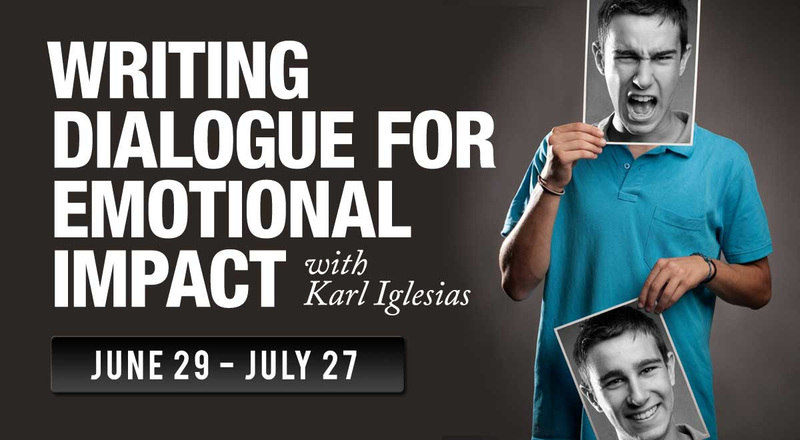 Throughout this course your instructor will be critiquing your work to insure that your dialogue can evoke real emotions. • Writers of all levels who wish to improve their story’s dialogue and hone their writing skills. • Students looking to put their dialogue writing skills to the test and receive professional feedback. • Writers searching for alternative ways to increase their chances of writing a successful script. Karl Iglesias is a screenwriter and sought-after script doctor and consultant, specializing in the reader’s emotional response to the written page.